I stopped by on Sunday before driving up to Hunstville. 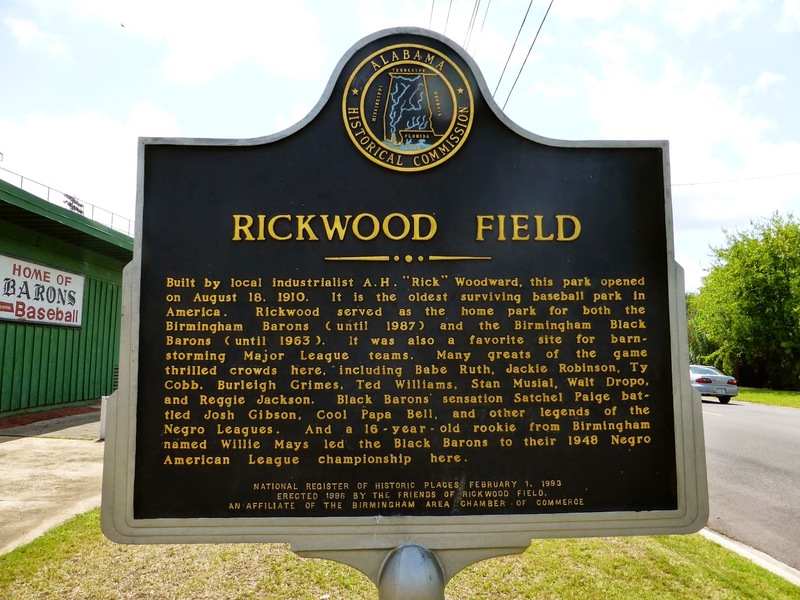 The park is maintained by a group called the Friends of Rickwood and is open during the week, but not on the weekend. You can arrange a private tour on the weekend as my friend Meg did the day before, but I did not have time to do so, what with seeing 5 games in 3 days. So all I have to show for my visit is a few exterior shots. 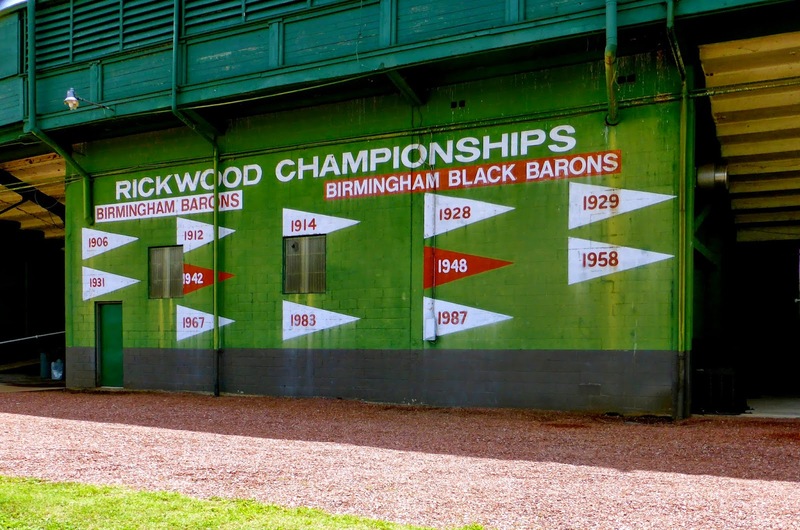 The annual Rickwood Classic, where the Birmingham Barons host an actual minor league game, will next be played on May 27th, 2015 at 12:30. I'd love to get back here for that. I guess prices are a bit more expensive than what is shown below. 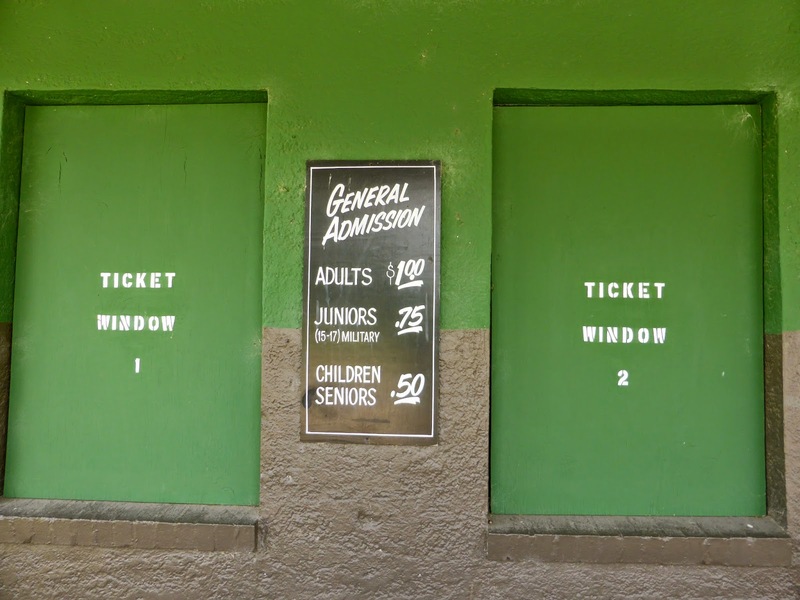 The park is located in a residential area that is not the most pleasant. When I stopped by, I was the only person there, though it is not unsafe in the bright sunshine of a Birmingham afternoon. 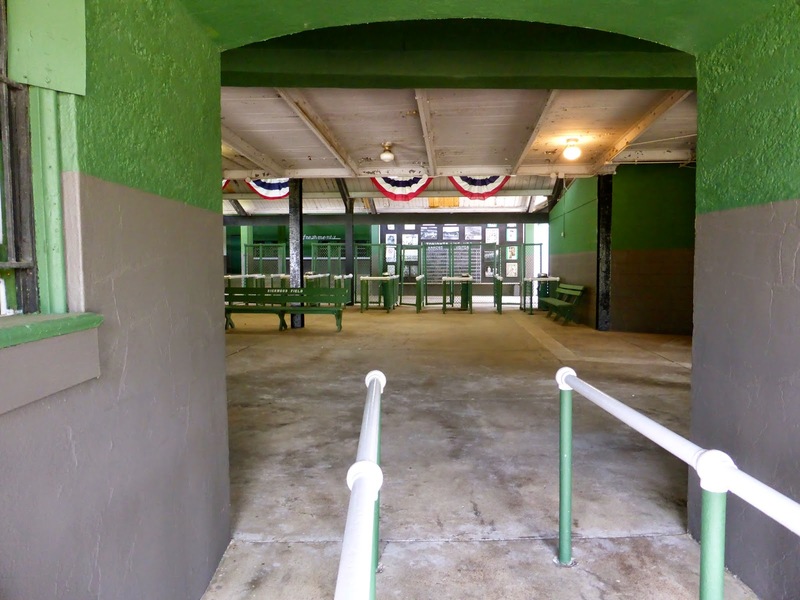 It was an eerie feeling though, to be alone with the ghosts of baseball greats. In case you didn't read the sign above, the 1948 championship for the Black Barons including 17-year-old Willie Mays in his first professional action. 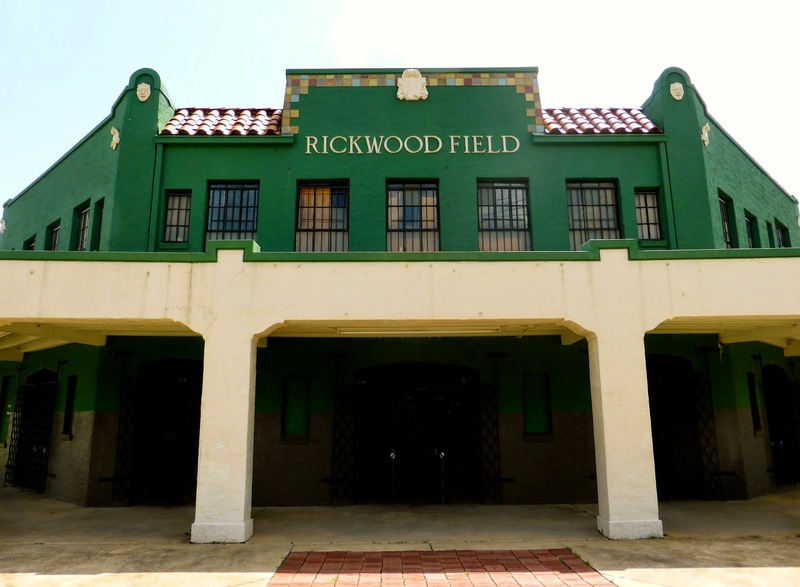 If you are down in Birmingham for the Barons or any other reason, contact the Friends of Rickwood and take a tour if you can. I'll definitely do so next time I'm in town.